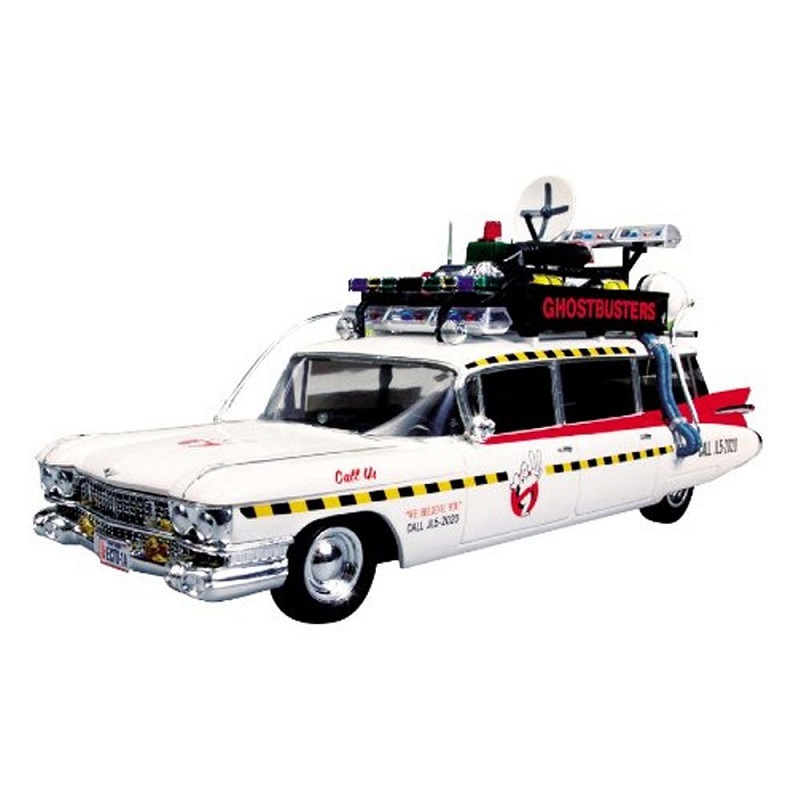 The famous Ectomobile from the beloved Ghostbusters II movie, by AMT is here! 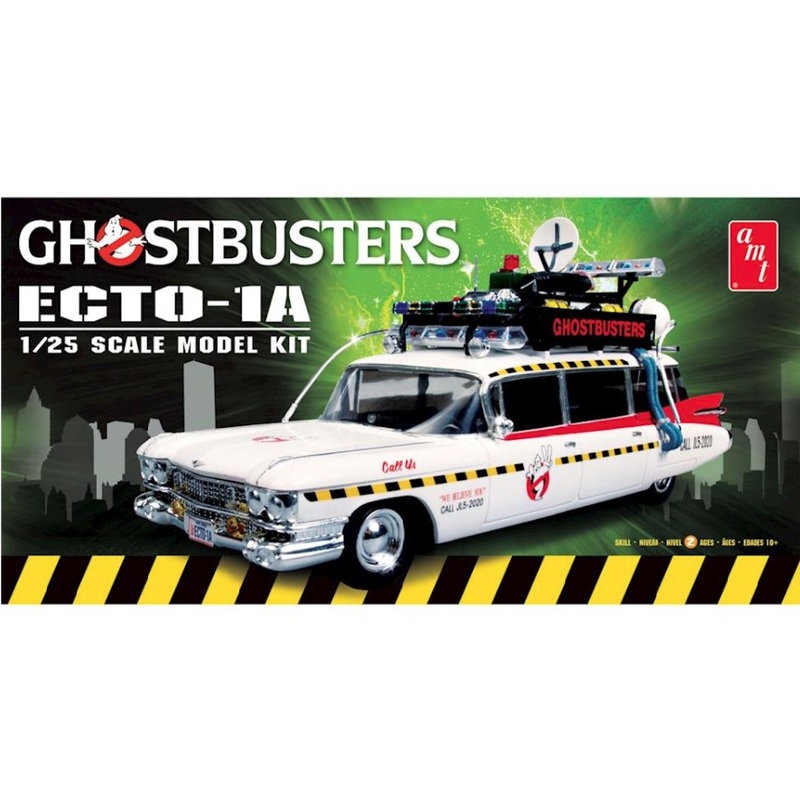 Built around a '59 Miller-Meteor bodied Cadillac ambulance, the plastic model kit features a detailed equipment rack and decals to decorate the car as the Ecto-1 or the Ecto-1A. Molded in white, chrome and clear parts.